The 2018 Southern Automotive Conference provided a showcase for the innovative ideas, products, manufacturing and technology that are driving the auto industry. More than 1,200 registered to attend the three-day event hosted by the Georgia Automotive Manufacturers Association (GAMA), making it the largest SAC yet, according to Sheila Wardy, director of events for PMT Publishing, which serves as planner of the Southern Automotive Conference and publishes Southern Automotive Alliance magazine. For the first time, the annual conference was held in Georgia. The event is presented jointly each year by the automotive manufacturing associations of Alabama (AAMA), Georgia (GAMA), Mississippi (MAMA) and Tennessee (TAMA), with support from the Kentucky Automotive Industry Association (KAIA), South Carolina Automotive Council (SCAC) and Southern Automotive Women’s Forum (SAWF). The Peach State has been added to the rotation of host states, and will host again in 2022, Wardy says. Tennessee will host in 2019, Mississippi in 2020, and Alabama in 2021. 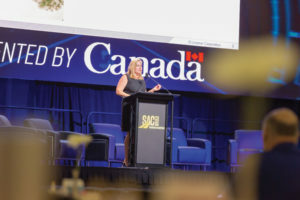 SAC 2018 was designed to fuel careers and grow business through networking opportunities, according to Rick Walker, founder and president of GAMA. The event featured numerous panel discussions and breakout sessions. 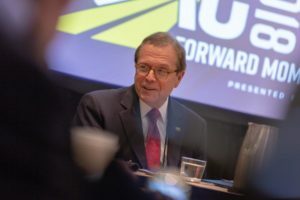 Topics included autonomous vehicle technology, workforce development, issues that affect original equipment manufacturers (OEMs), and the Occupational Safety and Health Administration’s (OSHA) impact on the industry. Keynote speeches were presented by industry leaders including Ken Koch, a principal in KPMG LLC’s Advisory practice; Linda Hasenfratz, CEO of Linamar Corp.; Raj Batra, president, Siemens Digital Factory Division; Dr. Hagen Radowski, president and CEO of MHP Americas – A Porsche Company, and Jonathan Smoke, chief economist at Cox Automotive. Georgia Gov. Nathan Deal opened the final day of the conference with a keynote speech spotlighting the state’s strong ties to the automotive industry. Deal noted that Georgia is the No. 1 place in the U.S. to do business, according to Site Selection magazine. The magazine has ranked Georgia No. 1 for six consecutive years. The most recent rankings were released in November. Deal says he is particularly proud of workforce development programs that serve the automotive manufacturing and parts industries and other businesses. Site Selection cited “workforce skills” as the most important factor when the magazine compiled its 2018 state rankings, followed by transportation infrastructure and workforce development. New to the automotive conference this year was a large Workforce Development Zone. Exhibitors included major universities, technical schools and companies that are working with the South’s growing automotive industry to identify employment needs and provide education and training. 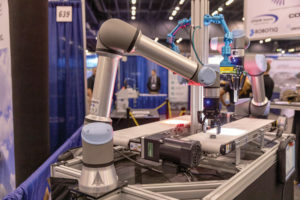 The event’s popular Innovation Zone was expanded to display more of the latest in automation, robotics, products and services. The annual Innovation Test Track competition featured four companies selected from a field of 18 contestants. Companies with a new technology, innovative product or service that could be valuable to the automotive industry are invited to participate. Finalists are invited onto the main exhibition stage to pitch to a panel of judges. The winner receives $2,500, a two-page advertisement in Southern Automotive Alliance magazine, and follow-up pitch opportunities with each judge. This year’s winner says it can use artificial intelligence to help manufacturers avoid unnecessary purchases that can add up to millions of dollars. 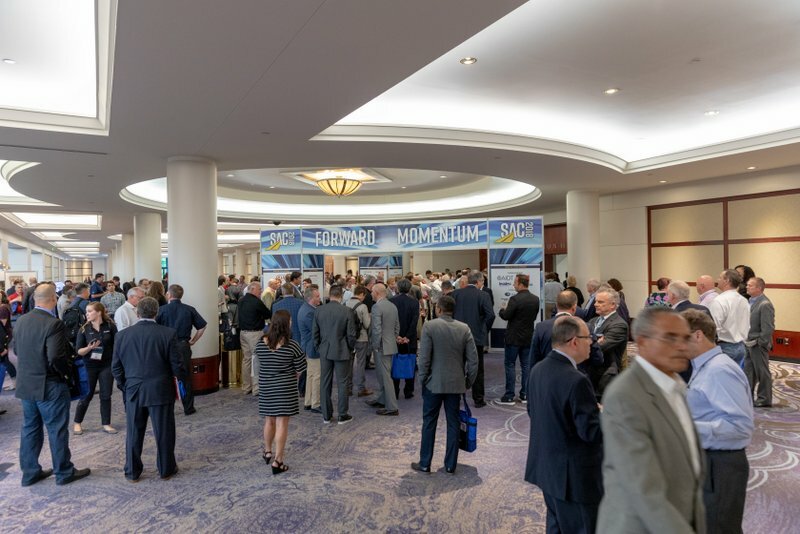 Throughout the conference, attendees, exhibitors, and sponsors packed the exhibit hall to gather and provide information about goods, services and workforce development opportunities. Several states, regions and cities were represented by officials who promoted infrastructure and incentives designed to attract and support the auto industry. A highlight of the conference was the annual awards ceremony for the Stars of Southern Manufacturing, hosted this year by Nick Patterson, editor of Southern Automotive Alliance magazine. Winners include Natasha Hall of Lear Corporation (Alabama); Kimberly Sears of Kia Motors (Georgia); Kanesha Jackson of Toyota Motor Manufacturing (Mississippi); and Wendell Williams of Nissan Powertrain Assembly Plant (Tennessee). 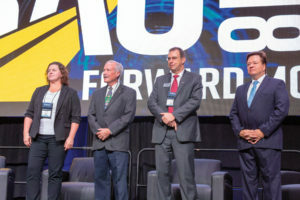 The first Southern Automotive Manufacturers Alliance (SAMA) Hall of Fame award was given to Don “Stogie” Stogebauer, former executive director of the Mississippi Automotive Manufacturers Association. For information about SAC2019, Sept. 25 through 27, 2019 in Nashville, click here.